Paet Taka Festival is an annual festival in Paete, Laguna in the month of September showcasing the town's products, arts and crafts. Wow! Lots of activities for this month. I want to participate on some activities. 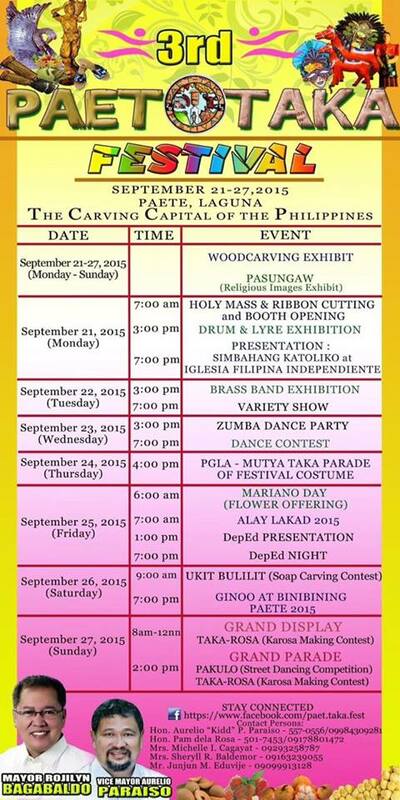 I'm just in Peza zone, I can travel to see the exhibit and join some activities there.